Description: Do you need an easy way to keep your aquarium crystal clear? Do you need help to maintain healthy water in your freshwater tropical aquarium? Do you need help to mature your filter when starting up your tank? If so you need PURE Aquarium from Evolution Aqua, the bacterial treatment that helps to achieve and maintain a healthy aquarium environment. PURE Aquarium is a bacterial treatment for aquariums of all sizes. Inside every ball there are millions of live bacteria and enzymes. Once added to your aquarium, the bacteria and enzymes inside each ball will start to break down the ammonia and nitrite in your aquarium’s water. PURE Aquarium also breaks down organic waste, which is often the cause of poor water clarity. 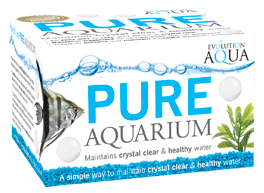 PURE Aquarium will leave your water crystal clear and healthy. Regular use of PURE Aquarium will ensure that your fish live in a safe, healthy and crystal clear environment. How to use PURE Aquarium? We recommend that you use PURE Aquarium as part of your regular maintenance programme. You cannot overdose with PURE Aquarium. • To maintain crystal clear, healthy water add 1 or 2 PURE Aquarium balls per 25 litres of water once a week. Add the balls directly into your aquarium or inside the aquarium filter. If using PURE Aquarium for the first time or if your aquarium has clarity problems, add 5 to 10 balls per 100 litres of water. 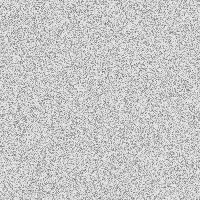 When water clears, continue to use as described above. PURE Aquarium. Have you tried it yet? Do you need an easy way to keep your aquarium crystal clear? Do you need help to maintain healthy water in your freshwater tropical aquarium? Do you need help to mature your filter when starting up your tank? If so, you need PURE Aquarium from Evolution Aqua, the bacterial treatment that helps to achieve and maintain a healthy aquarium environment.